With the holiday season now in full swing, many folks will be busy planning seasonal feasts for gatherings with friends and family. But for the more than 850,000 Canadians who use a food bank each month - one-third of those being children - the holidays can be a painful reminder of the struggle to have enough food. Here are a few ideas for how you can help those in need this holiday season – or any time of year! If you’re planning a holiday get together with family and friends or co-workers, ask them to bring a donation for the local food bank - a great way to include the spirit of the season of giving to your festivities. You can find out what food and household items are most needed here. If you’re not sure where to drop off your donations, click here to find the address for your local food bank. Don’t forget to keep an eye out at your local grocery store for food bank collections this time of year. To say that this is a busy time of year is certainly an understatement. But sometimes we can lose touch with the season with all the packed schedules and never-ending crowds. Taking a few hours out of a weekend to volunteer at your local food bank is a wonderful way to reconnect with the spirit of the season. And if your schedule is just too hectic to find the time to volunteer before Christmas, consider setting aside some time after the holidays to help out – a great opportunity to kick-start any new year’s resolutions about helping others! To find out about volunteer opportunities, get in touch with your local food bank. Need to find a gift for a supervisor or co-worker and unsure of where to look? Skip the stores and make a monetary donation to your local food bank in honour of someone. It’s a gift that has a lot more impact than a box of chocolates or dancing Santa decoration. 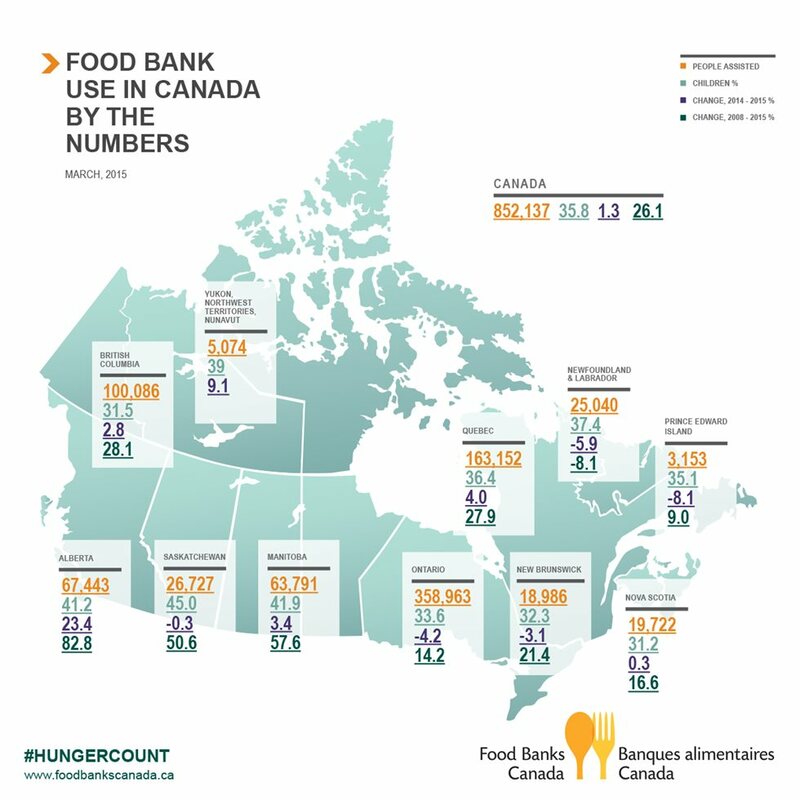 Find the website for the food bank in your area to make a donation online.